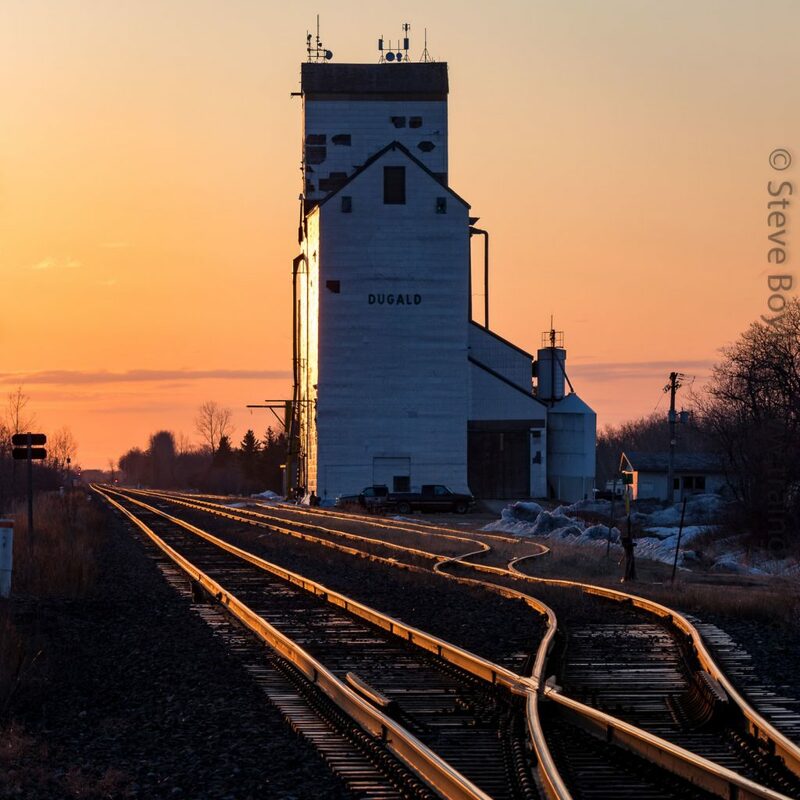 Dugald, MB grain elevator at sunrise, Apr 2018. Contributed by Steve Boyko. The Dugald grain elevator is a former Manitoba Pool Elevator structure with a capacity of 4,010 tonnes. The elevator consists of the central elevator with an attached annex and three steel storage bins. It is on the CN Redditt subdivision. 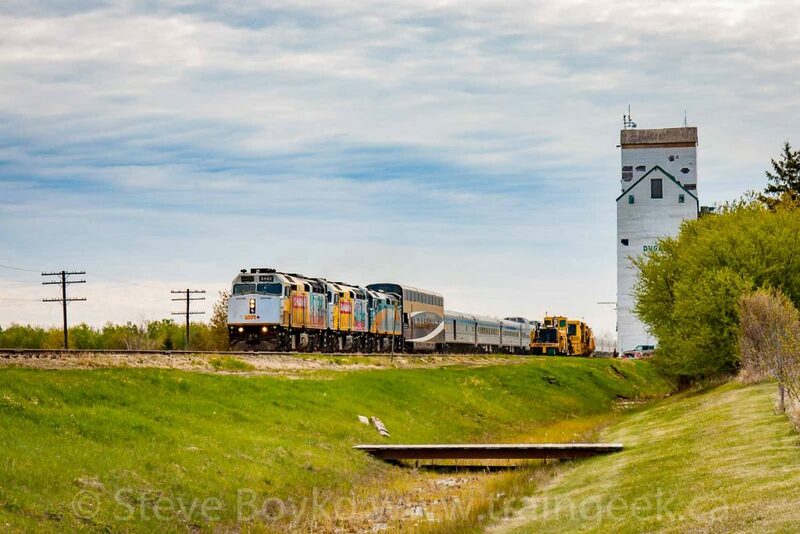 The VIA Rail “Canadian” passing the Dugald, MB grain elevator, May 2017. Contributed by Steve Boyko. 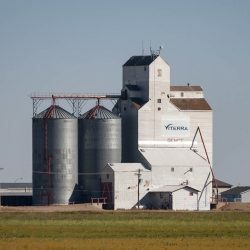 The elevator was last licensed by the Canadian Grain Commission in 2001. It is still used for private storage. 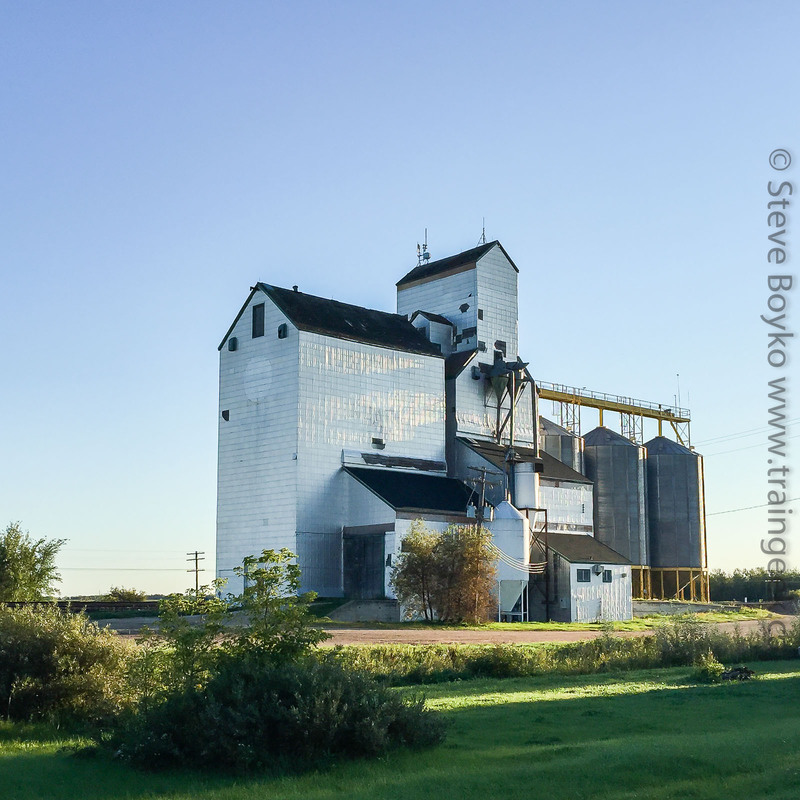 Dugald, Manitoba grain elevator, Sep 2015. Contributed by Steve Boyko. 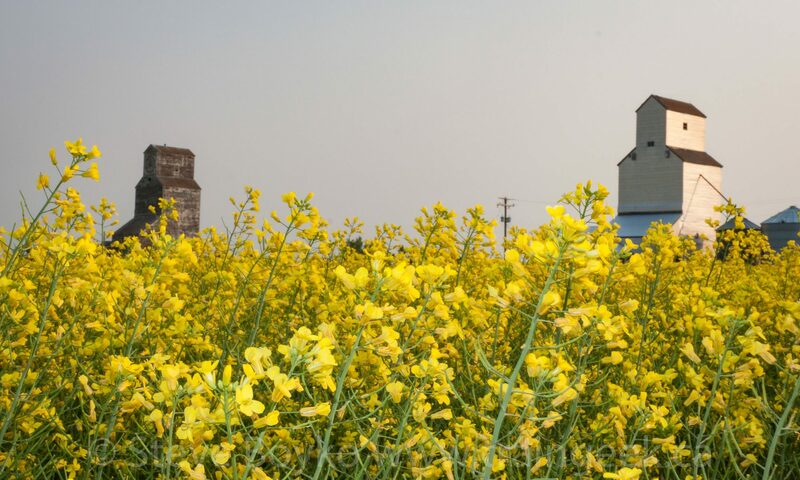 The current grain elevator was built in 1948 to replace the elevator destroyed in the 1947 rail accident.